I’m a know-it-all. I think I know what’s best for me. I think I know what’s best, period. And, chances are, I’ve already decided what I think is best for you. 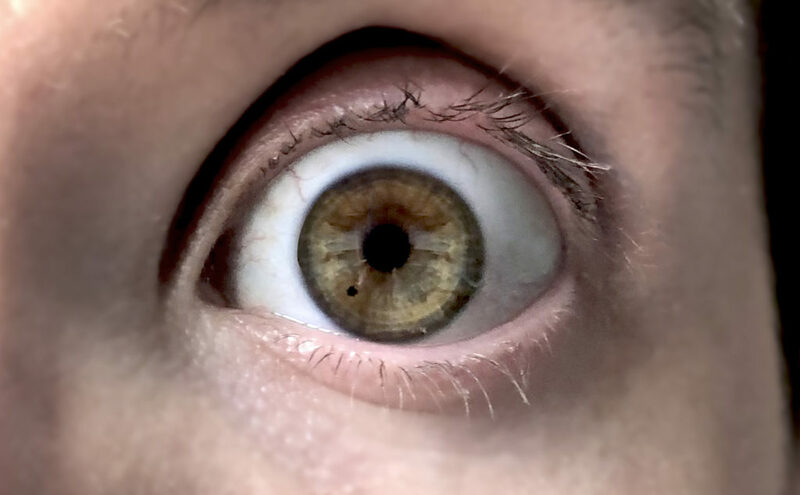 There’s one problem: I have a speck in my eye – literally. And, it might as well be a massive, 100-year-old log. How can you think of saying to anyone, ‘Let me help you get rid of that speck in your eye,’ when you can’t see past the log in your own eye? Is it purely coincidental that there’s an actual speck in my eye? Maybe. But I don’t think so. I believe that each of us is uniquely and perfectly created by God. Having a visible reminder that I’m confronted with every time I look in the mirror is, well, perfectly poetic. It’s a loving, inside joke between me and my Creator. I believe that God blesses each of us with spiritual gifts – and weaknesses. We naturally thrive in our strengths, but, of course, we also struggle the most in our weaknesses. I wrestle mightily with my judgmental nature. But here’s the Good News: God doesn’t hold our weaknesses against us. He doesn’t even require obedience. He doesn’t wait for us to mess up so that He can punish us for our shortcomings. That’s amazing Grace. Instead, he sent us Jesus. He sent Jesus, inventor of the mic drop, to deforest my eye ball. He sent Jesus to remind us every day just how much He loves us despite how unloveable, sinful, lost or broken we may feel. I’m never right, always – with the exception of one guarantee: Jesus makes your life better, and He’ll make you better at life. Beautiful post! Great reminder for all of us!